Are you interested in doing business with multi-national corporations like Intel, IBM, Accenture and Bristol-Myers Squibb? Then this conference is for you! WEConnect International is a corporate-led non-profit and their goal is to connect more majority women owned businesses into the corporate supply chain. Both days of the conference will be chock-full with talks, presentations and breakout sessions based on the conference theme of ‘community, connections and collaboration’ and throughout the event, there will be excellent opportunities to network and connect with both women business owners and representatives from WEConnect International’s corporate members including our conference sponsors Intel, Accenture, Bristol-Myers Squibb, IBM, MSD, Dun & Bradstreet and Goldman Sachs. 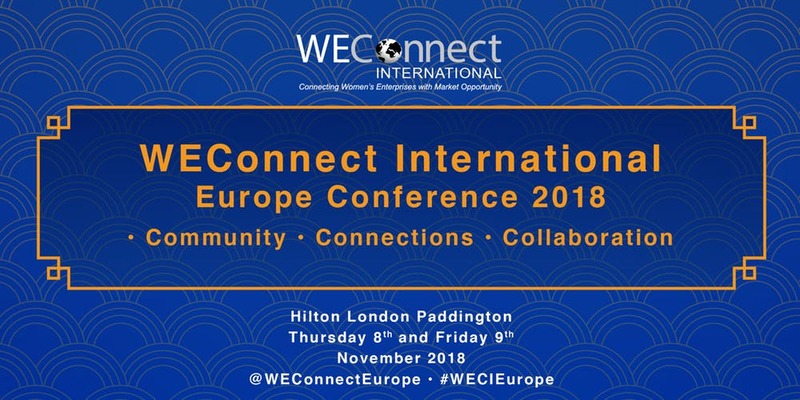 If you haven’t been to the WEConnect International Europe Conference before, you can find out more about the event by watching a short video from last year’s event here. So, if you’re interested in growing your women-owned business and understanding more about working successfully with multinational corporations, this conference is not to be missed!